Dover Museum is much more than just a local history and archaeology museum. Situated in the town centre of Dover, Britain’s historic port town, this modern museum tells the fascinating story of this rich and important area. Cross-curricular school activity days for Key Stage 1, 2 & 3 pupils are held throughout the year. 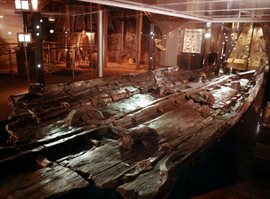 In September 1992, archaeologists in Dover discovered the remains of a large wooden prehistoric boat thought to be some 3,000 years old. Our Gallery tells the story of this important find and its implications for understanding the Bronze Age. Fun for children of all ages. 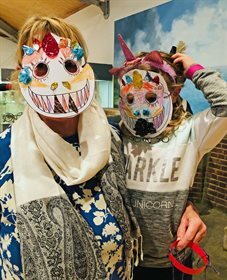 Free entry to Museum and activities on Family Days. Commemorative Exhibition on the Raid on Zeebrugge 1918 and the Dover Patrol. 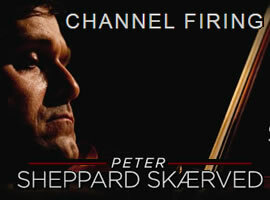 A response by Peter Sheppard Skaerved to Dover Museum's WWI collection.